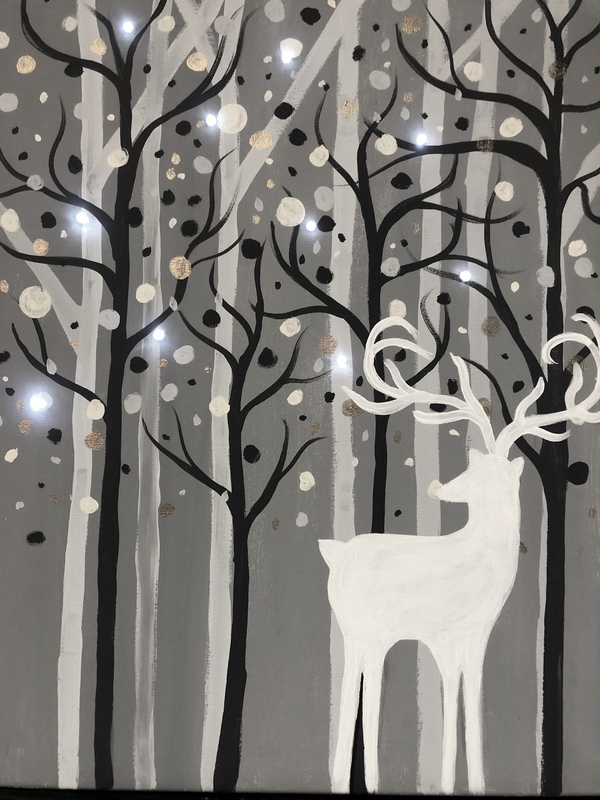 Light up this pretty holiday painting! Lights and batteries are included! Valid for regular, public events that occur in December 2018 only. Complete 1 transaction for 6+ seats to qualify. Enter code VERYMERRY at checkout. May not be combined with any other discounts or promotions. Does not apply to previous purchases. Does not apply to purchases of gift certificates, merchandise or upgrades. Not valid for reservations of private parties or specialty events (e.g., Project Pet or Painting It Forward).